Need to ship fragile, large, or valuable goods? Or maybe you are moving antique furniture to your new home? Fine Art Shippers is the only company you need as we provide comprehensive freight shipping and furniture moving services to fit any timeframe and budget! Dealing with us is all about safe and hassle-free delivery of your precious possessions to literally anywhere in the world! What do our freight shipping and furniture moving services include? – Ground shipping – land transportation of art, antiques, furniture, musical instruments, electronics, and other valuable items by specially equipped, climate-controlled trucks operated by experienced freight shippers. – Sea freight – the best and the most affordable option for shipping very large and heavy items overseas. Plus, we also provide cargo consolidation services, allowing our clients to save some money and to lower freight shipping costs. – Air freight – the fastest and safest way to get your shipment to almost anywhere on the planet. At Fine Art Shippers, we cover all major routes and can handle even the most urgent orders in a timely manner. Who needs our freight shipping and furniture moving services? Fine Art Shippers works with many reputable art dealers, interior designers, artists, galleries, and auction houses from all over the world. However, when it comes to our freight shipping and furniture moving services, they are most commonly ordered by specialized stores and private clients. Specialized stores. Our freight shipping company is an ideal choice for all those selling furniture and interior design pieces. Moreover, since our team is proficient in moving art and antiques, we can ship furniture of any value, even one-of-a-kind pieces. Besides, we always take care of all the necessary documentation and paperwork. Private clients. 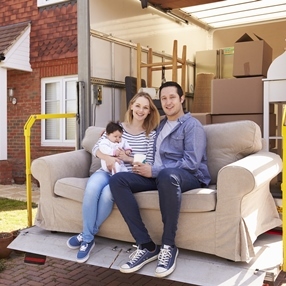 Our professional freight shipping and furniture moving services are also often chosen by private clients looking for the most affordable and secure way to relocate their precious possessions. Moreover, since we additionally offer a full range of in-house packing and crating services, dealing with us is not only easy but also very convenient. In general, whatever freight shipping and furniture moving services you need, you can find the best possible option at Fine Art Shippers. We will ensure your treasured belongings are all delivered to wherever they need to be safe and sound!